Chinese natural gas consumption surged through the first 11 months of 2017, up 19 percent year-on-year. 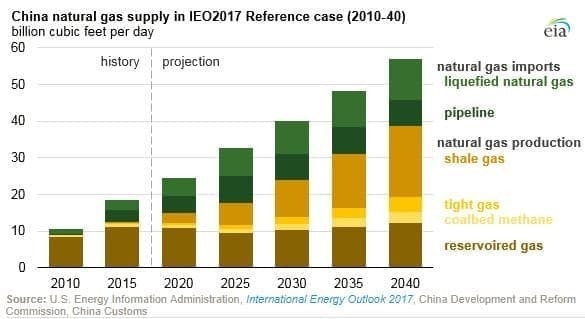 China is the third largest consumer of natural gas in the world, behind the U.S. and Russia, and is expected to show the strongest demand growth over the coming decades—propelling it to second place by 2040. 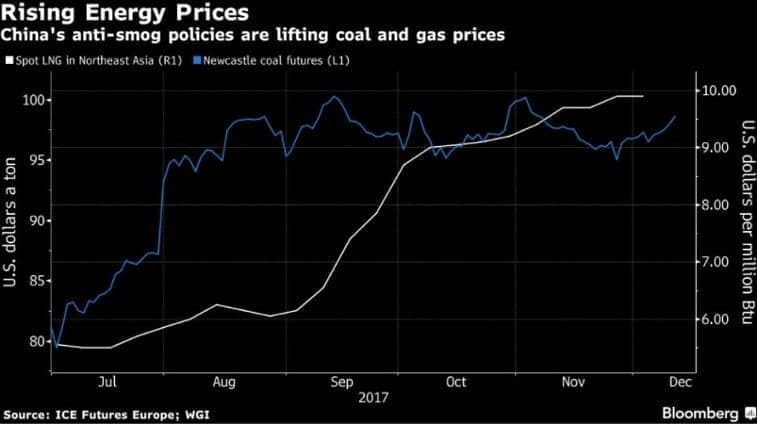 As the nation's industrial and residential sectors pivot away from coal (think: smog), natural gas demand is going through the roof, with domestic Chinese LNG prices reaching a six-year high in recent weeks. One data point that highlights these tightening fundamentals is how CNOOC just rented a convoy of 100 trucks to transport LNG thousands of kilometers to northern regions in China to fill supply gaps. 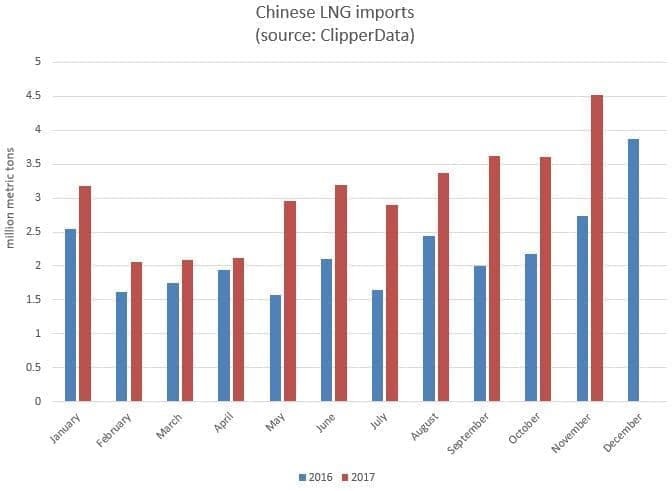 Driven by this recent rampant rise, China is now the second-largest importer of LNG globally. Spiking demand has lifted Northeast Asian spot LNG prices above $10/MMBtu. Last year, China met 64 percent of its natural gas needs from domestic production. 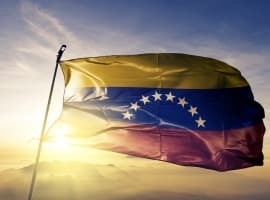 Even though projections suggest that domestic natural gas production will triple by 2040 (courtesy of the largest shale gas reserves in the world), around a third of its needs are met—and will continue to be—by pipeline flows and LNG imports. 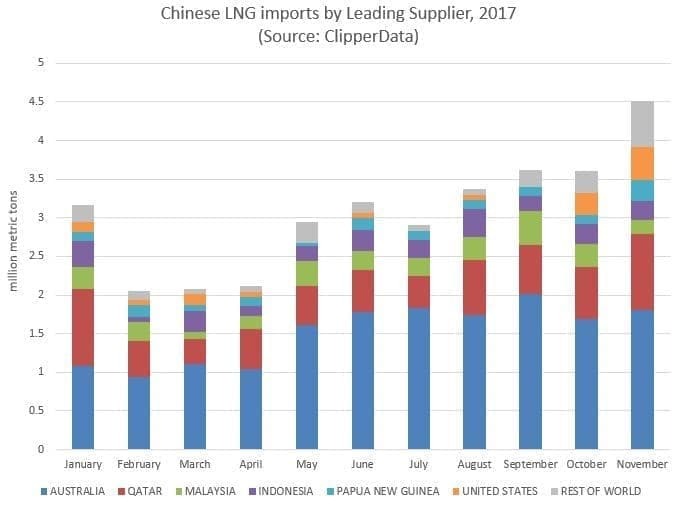 Australia is the leading source of Chinese LNG imports, accounting for basically a half of receipts this year. 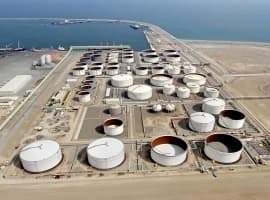 Qatar, the world's leading LNG exporter (for now) is in second place, accounting for 20 percent of deliveries. Malaysia, Indonesia and Papua New Guinea round out the top five—accounting for 90 percent of all imports in 2017. 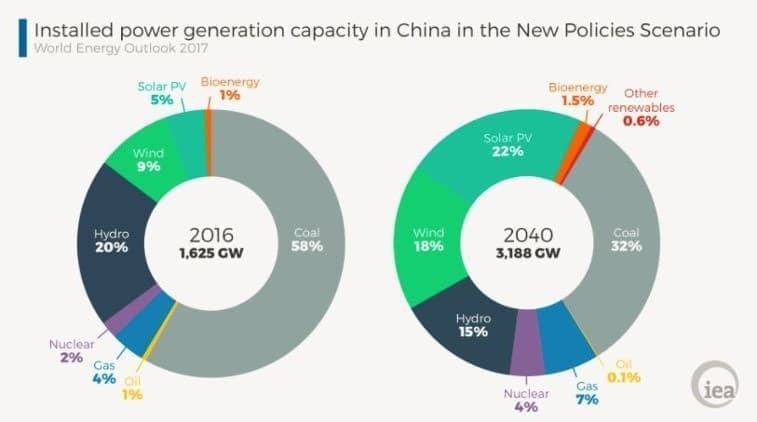 Perhaps the scariest thing about Chinese natural gas fundamentals is that the fuel only accounts for four percent of Chinese power generation capacity. 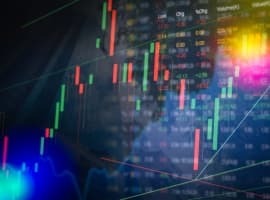 Even though explosive growth in demand is expected over the next two decades, natural gas capacity is only expected to be seven percent of the generation mix by 2040. I think coal pollution will force natural gas to become 50% by 2040. U.S. LNG has a huge market potential even as China is developing a Silk Road project.